akupofkatie: What's your poop face? I couldn't help but snap a few GREAT shots as little iiley was poopin'. She'll hate me for this one day but when I tell her it brought others laughter she'll forgive me...I hope. So, giggle, chuckle, and LAUGH! 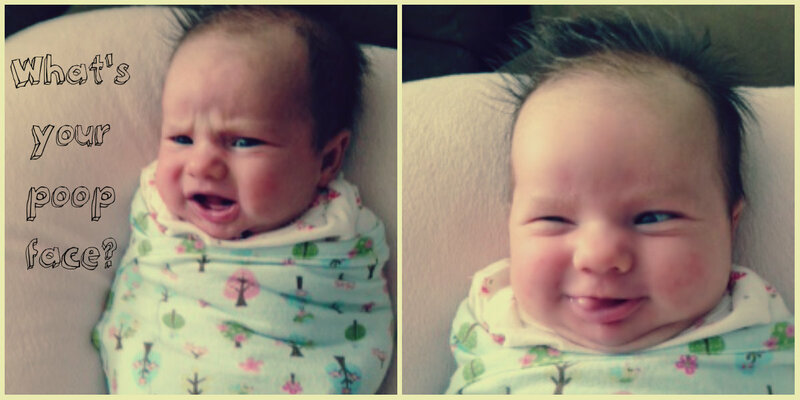 Share the laughter with others because the picture on the right is just TOO GOOD. ps: I'm sending this to Ellen! HA HA HA!!!! Christian makes that same poop face with the tongue out and squinty eye!! I've yet to be able to capture it on camera! LOVE it!!! PS...either that is a swaddle me sack or you are an AMAZING swaddler!